I have worked with many people who have lived complex and diverse lives who for a time have needed support and understanding to get back on track or to find a new direction. During this time I have worked with the charitable organisations of Cruse Bereavement Care (Bath), Southside (Bath) a community family service, Penny Brohn Cancer Care (Bristol) and Wessex Counselling Service (Frome) originally an affiliate of Westminster Pastoral Foundation (London) and now accredited by the British Psychoanalytic Council. Since the beginning of 2000 I have worked in private practice. I began working as a clinical supervisor over 13 years ago, providing individual and group supervision to counsellors who are in training or already qualified. Trainee and graduate counsellors have been recruited from the training organisations of Bath Centre for Psychotherapy and Counselling, Wiltshire/Lackham College, the University of the West of England, and Wessex Counselling Service. Much of my experience has been gained through the organisations of Southside Community Centre, Penny Brohn Cancer Care and Wessex Counselling Service. Throughout my years of training and working I have received a wealth of supervision from highly qualified experienced supervisors. I tend to supervise through a psychodynamic, psychoanalytic and/or Jungian lens. I also offer supervision through my private practice. I am an Associate Professional member of West Midlands Institute of Psychotherapy (Jungian Section) registered with UKCP (United Kingdom register of Counsellors and Psychotherapists) and qualified as a Jungian Analytical Psychotherapist. I abide by their Code of Ethics and Good Practice. 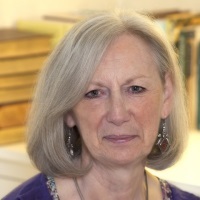 I am a post graduate member of Wessex Counselling Service from whom I gained my Certificate & Diploma in Counselling and qualified as a Psychodynamic Counsellor, accredited by Westminster Pastoral Foundation (London). I am a registered member of the British Association of Counsellors and Psychotherapists (MBACP) and also abide by their Code of Ethics and Good Practice. Membership of UKCP and BACP require me to commit to Continuing Professional Development. In fulfilment of this I regularly attend psychotherapeutic talks, seminars, workshops as well as read widely through journals/books and maintain supervision of my clinical work. If you feel counselling or psychotherapy could be of help please get in touch either by 'phone or email, whichever you prefer. If you 'phone please leave your name, number and a convenient time to call.